If you have a significant amount of overhead space in your building or warehouse, adding a mezzanine floor can be hugely valuable. Wasted overhead space is doing nothing valuable for your business but adding in a new floor can offer you a large area that can be used for office space, storage and more. If you’re looking to have mezzanine floors installed in your Sussex warehouse or commercial property, please don’t hesitate to get in touch with us at Octego today. Octego Ltd holds are than 40 years of experience in commercial and industrial mezzanine floors in Sussex. This comes from our years of expertise and knowledge in all forms of commercial, office and retail refurbishment and fit-out projects. We offer you a complete package for any works that you require, working both as the main contractors and project managers. We work with you throughout the project to ensure that everything runs smoothly and you get the commercial mezzanine floors that can benefit your business. Each job is managed from start to finish to ensure it is completed in compliance with your requirements. If you have a retail property and you want to make more of the available area, a mezzanine floor can give you additional floor space. At Octego we have extensive experience in the retail sector having worked with a range of clients across Sussex and throughout the UK – we will ensure that all work is carried out efficiently and on-time, while offering a finished product that is highly functional. Whether you’re looking to have a single floor installed or you have a portfolio of multiple retail outlets that you would like to expand, we would be happy to carry out the work for you. Mezzanine floors at commercial and retail premises much adhere to strict health and safety rules, and at Octego, every piece of work we take on is carried out to impeccable standards. Our commercial mezzanine floors are built to maximise commercial floor space as well as meet the other needs of today’s commercial environments. We can provide advice and quotes for any kind mezzanine flooring you might need. Another popular reason that businesses have a mezzanine floor installed is that they need additional office space. This could either be in a traditional office environment or in a warehouse with high ceilings. We can provide purpose built mezzanine floor solutions for either a single office space or across multiple buildings. Adding a retail mezzanine floor to an office can increase floor space and staff capacity but it can also create a distinct meeting space or office area. Moving office when a company is expanding can be very challenging in terms of productivity, staff travel and general disruption; a mezzanine floor can bring more space and reduce disruption. 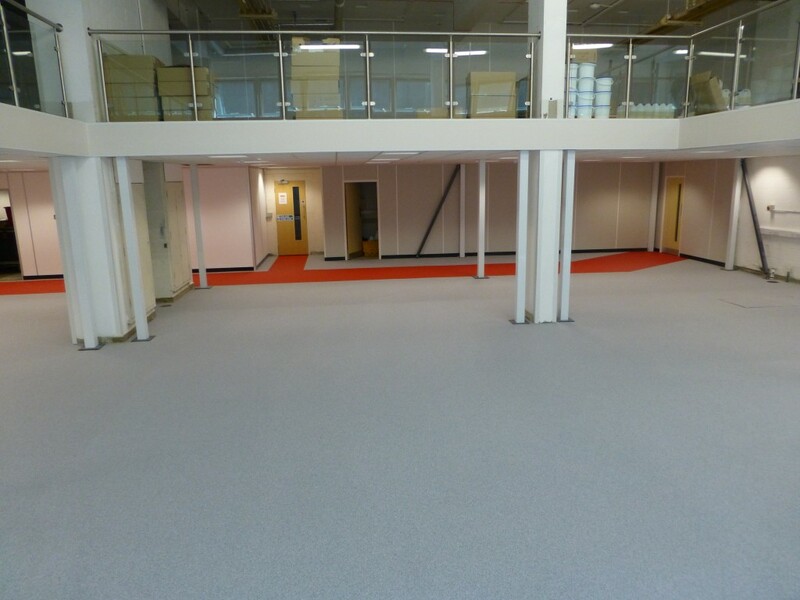 We have the experience needed to work in various commercial and industrial sites and offices, we know exactly what it takes to achieve and utilise more space through the installation of mezzanine floors and areas. We work to all the applicable health and safety regulations including access audits and fire regulations as well as getting the job done on time and on budget. Are you interested in having industrial mezzanine floors installed? Please get in touch with Octego today and we can provide you with any information you need. You can call us directly on 01444 405269 and talk to a friendly member of the team.